Home » Featured » Shop Today for Waterslide Decals! 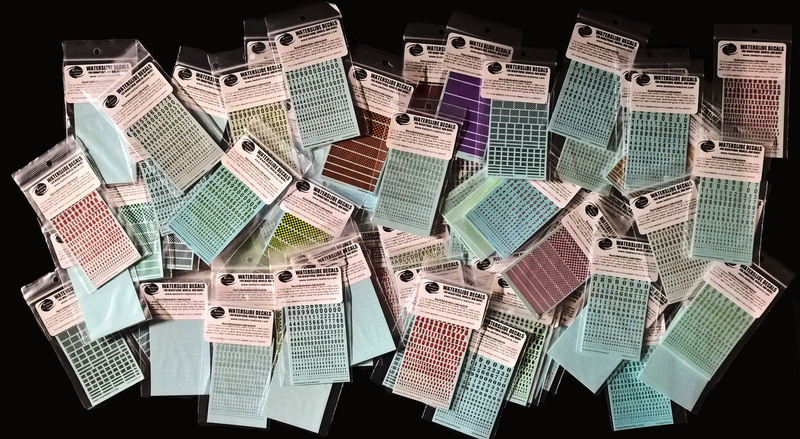 We stock a selection of small waterslide decals printed on 2″x3″ sheets. These are basic numbers, letters, stripes, checkers and symbols that you can shop for online. They are available in a wide variety or color combinations. Some of the popular colors are stocked and can be shipped out right away, however some decals are print on demand and may take a couple days to produce before shipping. We offer single color and two color checker waterslide decals in 12 colors. These decals are printed on a 2" x 3" sheet and are packaged individually. We offer single color and two color stripe waterslide decals in 12 different colors. These decals are printed on a 2" x 3" sheet and are packaged individually.